July 8 (Bloomberg) — Switzerland said it would seize UBS AG data to prevent the U.S. Justice Department from pursuing a U.S. court order seeking the identities of 52,000 American account holders in a crackdown on tax evaders. The assertion came in court papers yesterday in federal court in Miami, where the Justice Department sued UBS on Feb. 19, a day after the bank avoided U.S. prosecution for helping wealthy Americans evade taxes. The U.S. effort to enforce a summons seeking the names would force UBS to violate Swiss laws barring disclosure of such data, the filing said. The Swiss government “will use its legal authority to ensure that the bank cannot be pressured to transmit the information illegally, including if necessary by issuing an order taking effective control of the data at UBS that is the subject of the summons,” according to the filing. UBS agreed Feb. 18 to pay $780 million in penalties, admitted it helped taxpayers hide money in Swiss accounts and gave the Internal Revenue Service more than 250 clients’ names. The bank and Switzerland have since argued that the U.S. lawsuit represents a threat to Swiss sovereignty. U.S. District Judge Alan Gold will hold a July 13 hearing on the case. “It is hoped that it will be unnecessary for the Government of Switzerland to take the extraordinary action of issuing an order to seize the information at issue, but such an action should be expected if the IRS continues to pressure UBS to violate Swiss law,” according to the filing. Two UBS clients in the U.S. have pleaded guilty to tax crimes since the bank entered its deferred-prosecution agreement on Feb. 18. 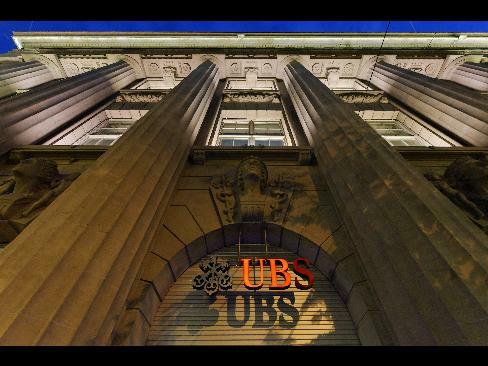 Prosecutors have said criminal charges against more UBS clients are likely. The IRS is encouraging others to avoid charges by disclosing UBS accounts voluntarily. Judge Gold yesterday denied a UBS motion seeking the number of accounts identified to the IRS through voluntary disclosures. UBS had said such data presents an alternative method to gain the information sought in the lawsuit. As part of its deferred-prosecution agreement, UBS admitted Feb. 18 that from 2000 to 2007 its Swiss private bankers helped Americans evade U.S. taxes through sham offshore companies in tax havens including Panama, Hong Kong and the British Virgin Islands. UBS said it created misleading forms saying those companies, not taxpayers, were the beneficial account owners. UBS also admitted that its private bankers marketed securities and banking services in the U.S., even though it didn’t have the required license from the Securities and Exchange Commission. Those bankers, UBS admitted, met with clients in the U.S. and communicated with them regularly as they traded securities in their accounts or transferred assets. The case is U.S. v. UBS AG, 09-cv-20423, U.S. District Court, Southern District of Florida (Miami). To contact the reporters on this story: David Voreacos in Newark, New Jersey, at dvoreacos@bloomberg.net; Mort Lucoff in Miami at morsybil@bellsouth.net.